The jewel vaults of the grand ducal family of Luxembourg are practically bursting at the seams with tiaras. But one of the family's princesses actually has one that she keeps in her own safe. Princess Sibilla may be the wife of a younger royal son, but her diamond art deco tiara is all hers. Princess Sibilla got her current royal title when she married Prince Guillaume of Luxembourg, the youngest son of Grand Duke Jean and Grand Duchess Joséphine-Charlotte, in 1994. But Sibilla has royal blood of her own: she's the great-granddaughter of King Alfonso XIII and Queen Ena of Spain. She's worn tiaras from both the Spanish and Luxembourgish collections, but this tiara appears to be Sibilla's own personal property. It's said to have been a gift from her father, Paul-Annik Weiller. Some have speculated that Sibilla may have received the tiara as a wedding present, but the ladies over at Luxarazzi believe she may have gotten the piece later, after she was already a Luxembourgish princess. No matter when she received the tiara, she must have rejoiced at the piece's versatility. It can be worn both in its full form and in a smaller version, with the top row of diamonds removed. Sibilla has worn the tiara in both incarnations, and she also loaned the smaller version to her sister-in-law, Countess Diane de Nassau, for the gala the night before the wedding of the hereditary grand ducal couple in November 2012. At the royal wedding of Princess Madeleine of Sweden, eagle-eyed royal watchers spotted a diadem that very much resembles Sibilla's tiara on the head of Princess Silvia d'Arenberg. Many speculated that Sibilla, who has connections to the Arenbergs, loaned her tiara to Silvia for the occasion. 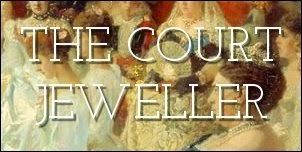 (The Luxarazzi bloggers, who are the best resource on the 'net for info about the Nassau family, agree that the tiaras are probably the same.) There's never been any official confirmation, but it does seem likely that it was the same piece. If so, props to Sibilla for sharing her sparkler — more tiara fun for everyone!